It's only fitting that a house designed by the British architect Sir Edwin Lutyens should have one of the benches named for him. 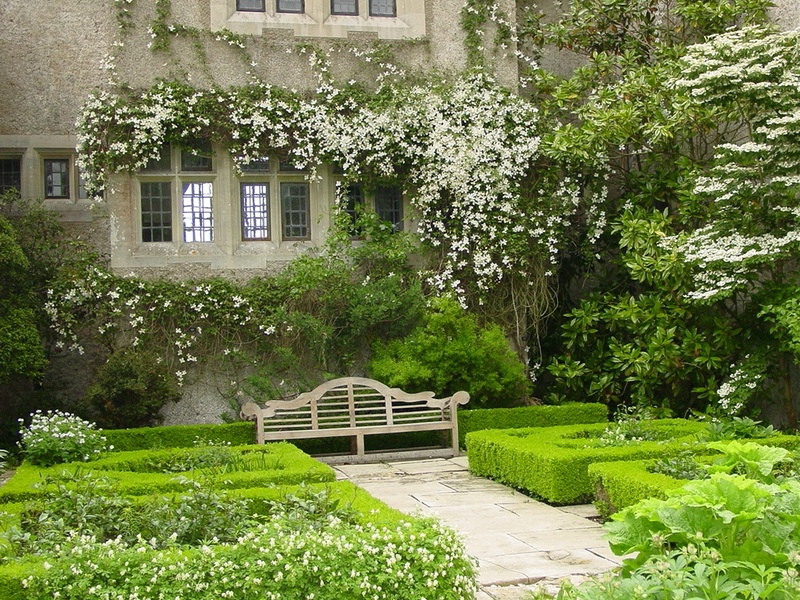 This is a typical Lutyens bench made of teak and beautifully placed as the centerpiece of a parterre in front of a house he designed in France. Lutyens was only 29 years old when the mansion was built for the Mallet family in 1898. Today, the Mallets still own the house and surrounding parc. My daughters and I got to see some of the rooms that aren't on tour. It was a real treat. It was also a thrill to sit on that bench in such an historic place.